Spring Fever Special! - 24 issues of both the print and digital editions of CQ Amateur Radio magazine. Offer is valid on both NEW subs or RENEWALs. Spring Fever Special - 36 of both the print and digital editions of CQ Amateur Radio magazine. Offer is valid on both NEW subs or RENEWALs. This sub delivers 36 print edition issues of CQ Amateur Radio magazine shipping to a U.S. address - and 36 digital edition issues too! Offer is valid on both NEW subs or RENEWALs. Please allow 6 weeks for delivery of your first issue. Spring Fever Subscription Special - 12 of both the print and digital editions of CQ Amateur Radio magazine. Offer is valid on both NEW subs or RENEWALs. This sub delivers 12 print edition issues of CQ Amateur Radio magazine shipping to a U.S. address - and 12 digital edition issues too! Offer is valid on both NEW subs or RENEWALs. Please allow 6 weeks for delivery of your first issue. 2-year subscription to CQ Amateur Radio magazine's DIGITAL edition - Fun to read, interesting from cover to cover, written so you can understand it. That's CQ. Read and enjoyed by thousands of people each month in 116 countries around the world. CQ's digital edition can be viewed on your PC, Mac, iPad, iPhone or Android (2.0 and higher). As soon as an issue goes "live" you will receive email notification that your copy is ready to view, print and/or download in your personal online library, where it will remain indefinitely! Simply click on the link in the email and sign in using your email address and the password of your choice. Please allow up to 3 days for delivery of your first issue. 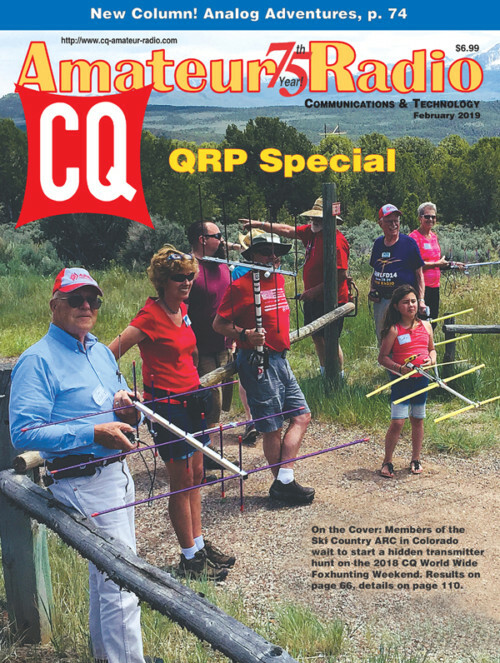 CQ Digital Edition - 3-Year Subscription to CQ Amateur Radio magazine. Fun to read, interesting from cover to cover, written so you can understand it. That's CQ. Read and enjoyed by thousands of people each month in 116 countries around the world. Special rate for those adding a digital subscription to their CQ print subscription! Please allow up to 3 days for delivery of your first issue. Spring FeverSubscription Special - 24 digital issues of CQ Amateur Radio magazine. Offer is valid on both NEW subs or RENEWALs. Fun to read, interesting from cover to cover, written so you can understand it. That's CQ. Read and enjoyed by thousands of people each month! Subscription Special to CQ Amateur Radio magazine's - 36 DIGITAL edition! Fun to read, interesting from cover to cover, written so you can understand it. That's CQ. Read and enjoyed by thousands of people each month. 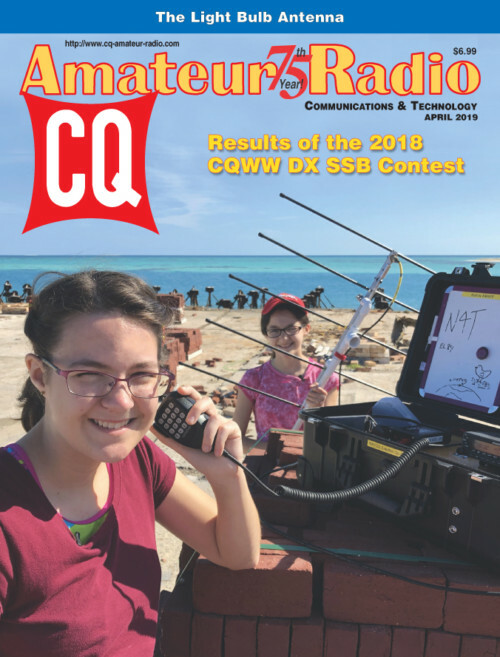 Visit the CQ's website for a look inside an issue - www.cq-amateur-radio.com CQ's digital edition can be viewed on your PC, Mac, iPad, iPhone or Android (2.0 and higher). As soon as an issue goes "live" you will receive email notification that your copy is ready to view, print and/or download in your personal online library, where it will remain indefinitely! Please allow up to 3 days for delivery of your first issue. 1-year subscription to CQ Amateur Radio magazine's DIGITAL edition - Fun to read, interesting from cover to cover, written so you can understand it. That's CQ. Read and enjoyed by thousands of people each month in 116 countries around the world. CQ's digital edition can be viewed on your PC, Mac, iPad, iPhone or Android (2.0 and higher). As soon as an issue goes "live" you will receive email notification that your copy is ready to view, print and/or download in your personal online library, where it will remain indefinitely! Simply click on the link in the email and sign in using your email address and the password of your choice. Please allow up to 3 days for delivery of your first issue.